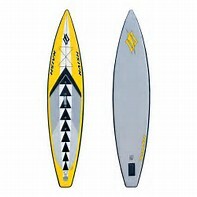 EX Demo Naish One Air Inflatable Stand Up Paddle Board 12'6"
Condition;Excellent. Complete; Board ,Pump, Paddle, Leash and including UK Delivery. We only have 2 left so don't miss out call 01536516779. WELCOME TO THE NEXT GENERATION OF INFLATABLE STAND UP PADDLING! The Naish ONE design is the perfect recreational touring board for paddlers of all ages, weights and skill levels as well as a highly competitive race design which is fun, stable and unbelievably fast. 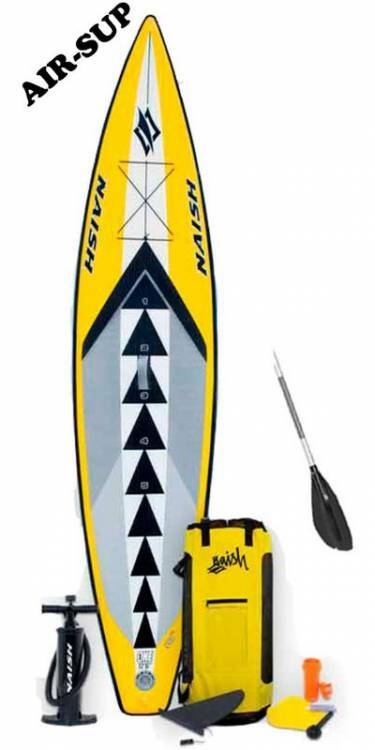 The Naish ONE is the ultimate all-round board and perfect for flatwater adventures, cruising with friends, recreational and competitive racing. In a sport that is constantly progressing and where costs of competitive boards are in the thousands, the Naish ONE design concept offers a level playing field where costs are limited. Ultimately, who has the money to buy the latest and greatest board is less a factor. The Naish ONE has the right length, width, and volume to be accessible, fun, and fast for paddlers of any ability or weight. The Naish ONE design offers competition in an environment where one can buy a board with confidence, knowing that the design will remain unchanged, guaranteeing his investment and competitive future for years to come. This competition format lends itself to great youth, family, and performance racing in a predictable and fun social environment. 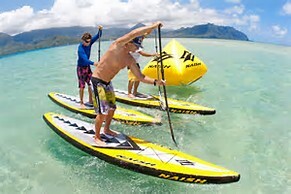 The Naish ONE provides an accessible, easy to ride yet high performance racing design. The ONE features a comprehensive multi-colored traction pad. The pad’s graphic layout creates a dynamic reference for proper standing position and integrates a numbered reference guide. These numbers are perfect for teaching proper rider positioning to novice paddlers as well as providing a visual reference for racers training and comparing their paddling stance with that of other riders.